As the Lunar New Year festivities continue, everyone is celebrating with their loved ones, including Lai Lok Yi (黎諾懿). Though he really values this holiday for its family gatherings, he doesn’t believe in the superstitions associated with the holiday. However, he does not mind if people continue wishing he would have a daughter this year, his son to be healthy, or increase his earnings. I quite like Lai Lok Yi since he was still doing supporting characters. 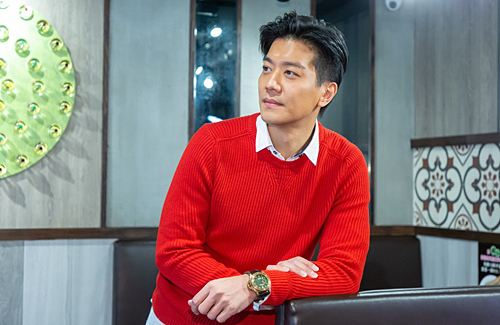 Never understood why TVB took so long to promote him since he is quite good looking. I’m glad he is in lead roles now. I especially like his down-to-earth and warm personality. I follow him on IG and he is a very hands-on father, a family man, and it’s attractive that he can cook. His wife is very pretty too. He seems to be doing well and hope he continues to be more successful.